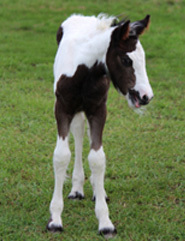 Welcome to our foal issue! And a few little announcements – okay maybe not so little! We are making a few changes in our herds and our lives, so even before it gets on our website we wanted you to be the first to know. 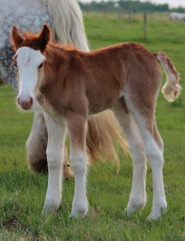 More about that in this issue, meanwhile, enjoy meeting our little additions from this year’s foaling, they are all so fun and special, and yes, they will all be for sale. We hope you all are enjoying the lovely sights and sounds of a spring/summer day, the birds are chirping and flowers are blooming, and maybe its time to spend some more quality time with that special four-legged companion that you were talking about this past winter. Or it could be time to spring (no pun intended!) for that special someone you’ve had your eye on – in that case, read on and enjoy! As you may or may not have heard, we’ve made some rather large changes in our lives, having realized after Dale’s heart attack and triple bi-pass last year that we were working ALL the time and didn’t have enough space in our lives for family, friends and fun! 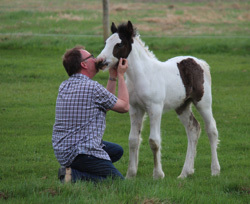 So – we’ve sold our ranch, all our businesses, (except our horse business), are moving to BC, and have set up a Herd Management arrangement to continue our Gypsy breeding program, as our horses and the program are very near and dear to our hearts. We’d like to introduce our Herd Managers for three of the four locations we have been blessed to make arrangements with. (We are still looking for BC Herd Managers). Our Managers will look after our horses on our behalf, and give them all the same careful care and handling that we have done in the past. 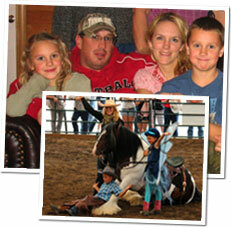 Steve and Angela Ruether, along with their kids Austin and Maddie, are situated just outside of Chamberlain, Saskatchewan. They are ranchers and experienced horse handlers, and have also helped us in some of our demonstrations at major horse events in the past. We’re excited to partner with them in this new venture. 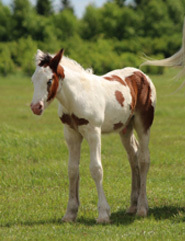 Tumbleweed will be the herd sire, and five mares along with two other young stallions will round out the Saskatchewan herd. Steve and Angie intend to develop these horses’ abilities on their working cattle ranch. More details to follow soon on our website! Jackie Johnson, Trick Trainer extraordinaire of Stunthorse.com, will also be helping us out by continuing her work with North Fork Cash (whom she is now part owner of), and taking on an additional mare, Bailey. We are excited to continue our partnership with Jackie, as she has worked so hard to promote the breed with us, and will continue to do so in new and exciting ways in the future. 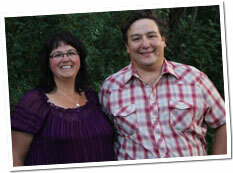 Bill and Nancy Graham, along with their family will be managing a herd for us out of Rocky Mountain House, Alberta. 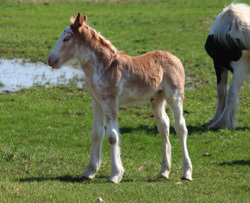 The Gypsies became a family concern for them a few years ago when they came out to buy one foal and ended up going home with three! Already starting their own breeding program as well as showing in-hand and driving, they are excellent ambassadors of the breed and we look forward to having them as part of our management team. We are still looking for our BC Herd Managers – If you’re on the mainland, are experienced horse people, and are interested in looking into a similar arrangement with us (or know of someone who might) please contact us to find out more. 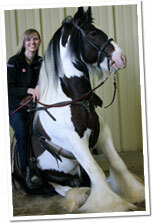 We’ll be participating in the Telus Battle of the Breeds at Spruce Meadows Master’s Tournament in September with Team Gypsy Vanner – more news to come!